Jalalabad Medical University was started in 1993 and it is a public institution and well recognized as one of the best institutes in the country providing medical courses. Jalalabad Medical University was started is set up by the government of the government of the country in order to train the doctors at an under with international standards. With the help of extremely qualified academy staff of 244 teachers, Jalalabad Medical University is gaining its popularity every year by providing quality education to the doctors of next generation. 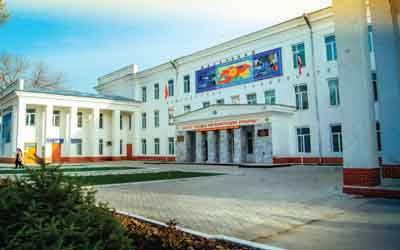 University is situated in the capital city of Kyrgyzstan which is Jalalabad. Jalalabad Medical University offers all the different medical courses in Russian and English. The MBBS, BDS, MD, MS degrees of Jalalabad state medical university are fully recognized by International Medical Education Directory (IMED), World Health Organization (WHO), Medical Council Of India (MCI), US Education Department and General Council Of Medicine of Great Britain. In order to study medicine in Jalalabad Medical University, usually, the Indian students just need to register for their medical seat by July end. The time taken from application to departure for MBBS College in Jalalabad Medical University is 8-10 weeks. But, the student can also apply later if the seats are still available. The Indian students are expected to enter Jalalabad Medical University for MBBS by 20th August. Apparently, the students who register their seats early are able to make it successfully to study medicine in Jalalabad Medical University. Qualification requiredgetting Admission in Jalalabad Medical University. Students having lower academic results such as somewhere between 50% to 60% in physics, chemistry, and biology. But they still coveting to go for high quality and lower cost education, they go to study MBBS in Kyrgyzstan medical colleges. Students with 50% in physics, chemistry, and biology may apply to study medicine in Jalalabad Medical University. The total tuition fee that students need to pay throughout their year course is 16000 USD. The accommodation fee wich includes the hostel and Indian food is 600 USD per year. The one-time registration fee that every student needs to at the time of registration is 500 USD.